On the 17th of November in the heart of Stockholm, Sweden, Volvo opened up their brand new studio. 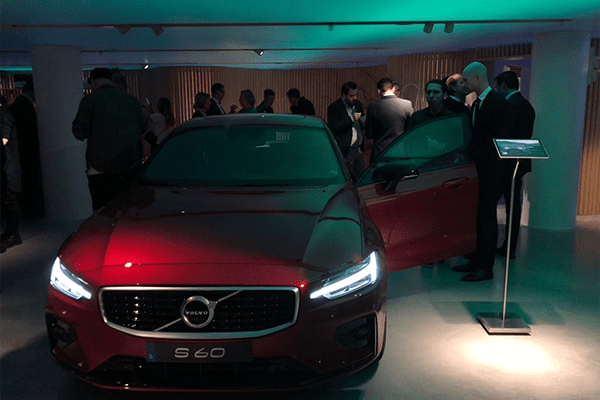 A unique environment designed by renowned architect firm, Tham and Videgård, Volvo invites people to experience a piece of Sweden and the latest models and innovations from Volvo. In an ever changing world every retailer and car manufacturer needs to embrace the new retail landscape. Going from a traditional transactional environment located in an industrial area to a centrally located facility where the customer can be welcomed into their own environment and focused on customer relation and branding. Volvo Studio is truly a new landmark of the car industry. Volvo’s brand strategy “design around you” narrows the gap between Volvo and its customer. One would think that such setup would shortcut the car dealer, but it is right the opposite. The dealers gets to deliver the car and take care of the after market, something they are truly the experts of and together enhancing the customer experience. Entering this studio will give you a piece of Sweden and its beautiful nature as well as the latest features coming from Volvo or simply enjoy the beauty of the latest models. DISE is happy to be able to power this new concept through its partner and integrator. From the big screens, touch points to the ambient led ceiling, DISE is the common delimiter and the technical backbone of this installation. We’re proud to have such creative and driven partners as Vertiseit and Mediatec. We encourage all our partners and clients to pay this facility a visit whenever possibility. Would you also like to be part of the future of retail? Please contact us at DISE.